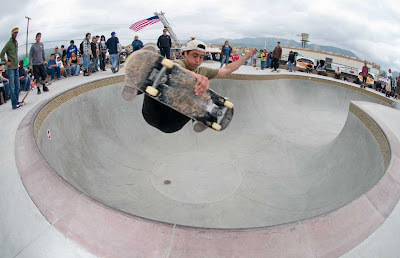 Thanks to info provided from fellow blogger and animal lover Vicki of Vicki's Vegan Vice I made it out to the Fillmore Skatepark grand opening on Saturday. Place was packed so I didn't even try to skate but there was a lot of great skating going down to watch including a head on bloody collision in the pool. 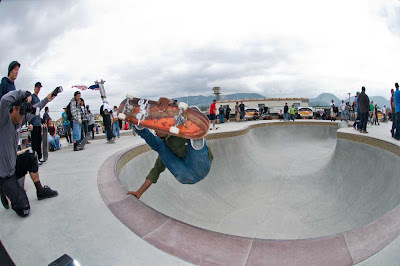 Alva was in attendance along with Bennet Harada, Eric "Tuma" Britton, and some local slashers including Chris Fox who was absolutely killing the pool.